Stunning Mirabel custom estate on a west facing lot with ultimate privacy & amazing views. High ceilings throughout the home expands the openness of the home. Family room with large French doors opening to the outdoor room, a cozy fireplace, and a convenient wet bar are great features for both large and intimate gatherings. Gourmet kitchen is complete with stainless appliances, center island with bar seating, and breakfast area all great for entertaining family and friends. Very spacious laundry room has ample cabinetry. A private split floor plan has the Master Suite and guest rooms on opposite sides of the home. The Master Suite is the perfect getaway with a gorgeous fireplace, retreat, and access to the backyard with inspiring views. Approximate size: 32920.00 sq. ft. 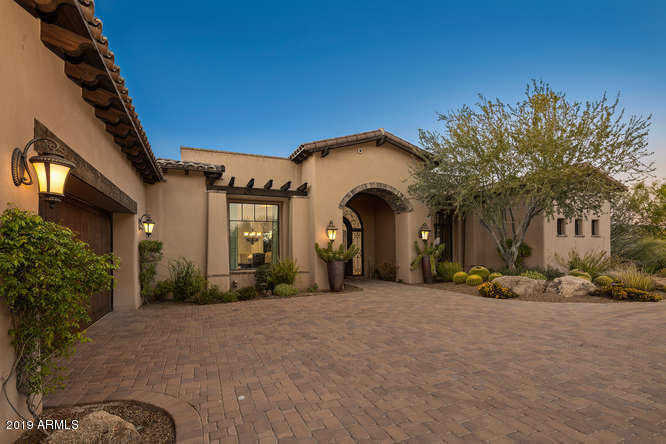 Please, send me more information on this property: MLS# 5881921 – $1,975,000 – 36452 N 105th Place, Scottsdale, AZ 85262. I would like to schedule a private showing for this property: MLS# 5881921 – $1,975,000 – 36452 N 105th Place, Scottsdale, AZ 85262.